In 1911, Sacred Heart Parish, as part of Ste. Marie, was formed to accommodate the 1200 people who had settled in the southwest area of the city and found it difficult to attend Mass because of the distance to travel and the scarcity of automobiles. Father I. H. C. Davignon, the pastor of Ste. Marie, recognized the need for a Franco-American parish in this area and solicited the bishop, the Most Reverend George A. Guertin, for the foundation of a new parish. In April of 1911, a parcel of land situated on South Main Street was purchased for $8,000. On April 23, 1911, the bishop officially proclaimed the establishment of Sacred Heart Parish. Father Francis Xavier Leclair was named the first pastor of Sacred Heart Parish. 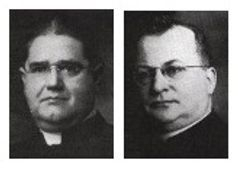 Beginning on Sunday April 30, 1911, persons residing to the south of Conant Street were to consider themselves as members of Sacred Heart Parish. This parish was entirely distinctive and independent of Ste. Marie Parish. The first masses were held at the Veterans of the Grand Army of the Republic Hall at the Granite Square. More than 400 people attended the first two Masses. Due to the rapid increase in the number of parishioners, the Veteran's Hall on Granite Street soon became too small. In June of 1911, Father Leclair obtained a large tent with a wood floor. The tent served as a temporary chapel until the cold autumn months. The parish also purchased the old French homestead and rehabilitated it into a rectory. Father Leclair took up permanent residency in October of 1911. Meanwhile the chapel-school was rapidly being built on the parochial land. The building cost $20,000 and measured 100 X 60 feet. It was divided into three parts: the chapel on the ground floor, classes on the second floor and a beautiful parish hall in the bottom level. On January 21, 1912 Mass was celebrated for the first time in the new chapel-school. On July 9, 1917, Father Leclair passed away at the age of 45 and Father Louis T. Laliberte was named as his successor on August 5, 1917. Father Laliberte believed that the future of the parish belonged to the youth. He established the Ligue du Sacre-Coeur, a fraternity for the men of the parish, the Dames de Saint-Anne for the woman of the congregation and the Enfants de Marie for the youth. 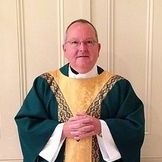 Father Laliberte served Sacred Heart Parish for twenty years and in July of 1937, His Excellence Monsignor John Peterson named Father Laliberte as the new pastor of St. Jean-Baptist parish in Manchester. Sacred Heart was now a very stable parish and Father Elzear N. Durette became the third pastor of Sacred Heart on July 28, 1937 and remained until his nomination as pastor of St. Jean Baptist in Suncook on November 6, 1941. On this same day, Father Neree Bouchard took over the helm as pastor of Sacred Heart. He remained pastor until his death on May 10, 1950. Under the direction of Father Durette and Father Bouchard, Sacred Heart continued to grow and prosper. On May 31, 1950, the parishioners welcomed the nomination of Father Adelard J. Halde as fifth pastor of Sacred Heart. He was well known, because immediately after his ordination to the priesthood in 1922, he was assigned as curate of the parish and remained for two and a half years. When Father Halde arrived at Sacred Heart Parish, it became clear that all of the parish properties needed to be refreshed. Since it was not prudent to undertake construction without having the necessary resources, Father Halde undertook the repairs and upgrade of the properties in order to prolong their duration and to give them the dignity worthy of the Sacred Heart. Father Halde then developed a plan that would be executed to construct a new church. The parishioners, who had long desired the construction of a new church, responded generously each time the pastor spoke to them regarding this project. He had plans prepared and his project had received the approval of His Excellence Monsignor Matthew F. Brady, Bishop of the diocese of Manchester. Construction on the new church began in December of 1956. The new brick church replaced the old wood church, which was then reorganized into class rooms. The new church was able to accommodate 600 people, instead of 450 like the old church. A neighboring property was acquired and the parking area in the back of the parish grounds was enlarged. For Midnight Mass on December 25, 1957. Father Halde, assisted by his two curates Fathers Gregoire Dumont and Leo Frechette, celebrated the first Mass at the new church. On May 30, 1958 His Excellence Monsignor Matthew F. Brady dedicated the cornerstone for the new church. A leather chest was deposited in the cornerstone in which silver pieces, a list of benefactors of the new church, a list of children of Sacred Heart School as well as dedication in French were enclosed. The dedication reads as follows: "This Holy Stone of Sacred Heart Church was deposited by His Excellency Matthew F. Brady, Bishop of Manchester, assisted by numerous priests and citizens on May 30th in the year of our Lord 1958 under the reign of the Sovereign Pontiff Pius Xll". The parish continued to thrive under Father Halde's direction and celebrated its Golden Jubilee on June 4, 1961. In March of 1962, Father Halde was named a Domestic Prelate, the first in the parish history. On June 10, 1969 Father Halde retired due to health reasons and Father Maurice A. Boulanger became the sixth pastor of Sacred Heart. One of his early accomplishments as new Pastor of the parish was to establish a parish council in compliance with the wishes of the bishop. Several parishes already had such councils composed of lay people. The problems facing the council and the parish in 1969 were serious. The parish school was starting to be a big financial burden. The school building was in need of extensive repairs. Gradually, nuns were removed from Sacred Heart and sent elsewhere, causing lay teachers to be hired at a very high cost. In 1973 The Presentation Sisters informed the pastor and the council that they were leaving the parish. Parochial schools were consolidated and the school building was turned into a catechetical and Christian formation center for the diocese. Father George A. Desjardins became the seventh pastor of Sacred Heart on April 23, 1974. Father Desjardins made it a priority to alleviate the huge debt which the parish had accumulated. Within seven years with the help of the generous parishioners and a friend of Father Desjardins, the parish was debt free. It was during Father Desjardins time as pastor that the pews and church woodwork were restored to their original finish. The updating projects continued with work being completed on the rectory and school buildings. They were insulated and had vinyl siding installed. Also, the church was painted, new carpet was installed and vacuum system was purchased. On June 20, 1985 Father Desjardins was transferred to St. George Parish by Bishop Odore Gendron. Father Marcel Allard took over for Father Desjardins on June 20, 1985 as eight pastor of Sacred Heart Parish. Because of illness he was granted a sick leave on October 9, 1985 by Bishop Gendron. The ninth pastor of Sacred Heart was Father Leo Frechette. Father Frechette had been a curate of Sacred Heart Parish under Father Halde from 1955 until September 1958. After several assignments at other parishes he became the pastor of Sacred Heart in October 1985. Due to rising repair costs and the further consolidation of ministries throughout the West Side Deanery, the decision to sell a small portion of the parish lands and tear down several older building was made. Father Frechette retired and Father Marc Montminy became the tenth pastor of Sacred Heart Parish on July 31, 1995. On that day Sacred Heart Parish also became the sister parish to Ste. Marie Parish. From the proceed of the sale of the parish land at the corner of South Main and Varney Streets, Father Marc commissioned the building of a Parish Center named in honor of Bishop Odore Gendron, son of Sacred Heart Parish. Refurbishment of the interior of the woodwork and painted surfaces in the Church and replacement of the exterior doors also took place during Father Marc's tenure. The beautiful cross which graces the sanctuary is a lasting tribute to his time at Sacred Heart Parish. 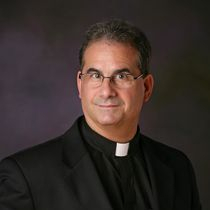 On June 24, 2009, Father Marc was transferred to St. Michael's Parish in Exeter, NH. 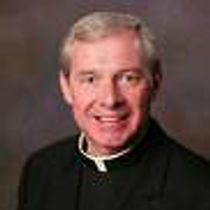 Father Maurice Larochelle became the eleventh pastor of Sacred Heart Parish on June 24, 2009. Sacred Heart Parish continued to thrive alongside its sister parish under Father Moe’s direction. In August of 2016, the diocese discontinued the relationship between Sacred Heart Parish and Ste. Marie. Beginning in July 2016, Bishop Peter Libasci began providing pastoral support for the parish. He promised the parishioners his support as he worked hard to find a priest for the parish He assured the parishioners that it was not his intent to close the parish. Answering our prayers in September 2017, Fr. Britto Adaikalam H.G.N was assigned as our part-time pastor. That assignment was short lived as Fr. Britto was reassigned to parishes in the western part of New Hampshire. Once again, our prayers were answered, on December 3, 2017, Bishop Peter Libasci introduced Fr. A. Stephen Marcoux, III as our full time pastor. On January 14, 2018, the Very Rev. Richard Dion., V.F. officially installed Fr. Steve as the twelfth pastor of Sacred Heart Parish. Our future is bright and we are excited for this next chapter in our long and distinguished history.